Did you know that 60,000 scientific papers have been published on aspirin—and an estimated 100 billion tablets are taken annually? Aspirin reduces pain, swelling, inflammation, and fever, and is a popular therapy for arthritis, sprains and strains, headaches, and flu. 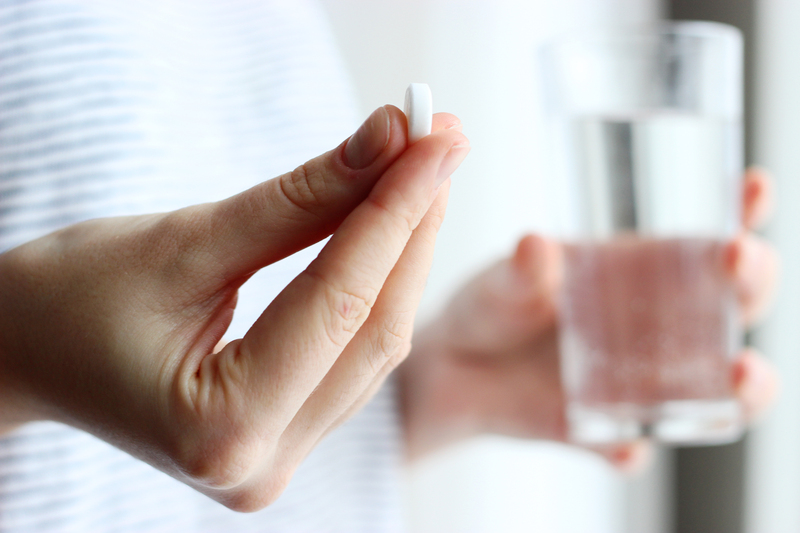 Taking aspirin during high-risk pregnancies helps prevent premature labor, and chewing a full-strength tablet at the first signs of a heart attack saves lives. This inexpensive over-the-counter drug even helps stave off metastasis and improves survival time in some types of cancer. Aspirin is also used to prevent disease—and here’s where the controversy lies. There is no question that daily low-dose aspirin reduces risk of heart attacks and strokes in people with cardiovascular disease. For these individuals, the drug’s well-known adverse effects, most notably increased bleeding risk and gastrointestinal irritation, are an acceptable tradeoff. However, millions of healthy people also take it. How do their risks and benefits stack up? Does aspirin do more harm than good? Who should be using daily low-dose aspirin for disease prevention? First, let’s look at how aspirin works. Its primary activity is knocking out cyclooxygenase (COX) enzymes, which are released in response to inflammation. One of these enzymes COX-2 stimulates the production of prostaglandins that trigger pain messages and ramp up inflammation, swelling, and fever. Blocking COX-2 reduces this pain/inflammation cascade and provides aspirin’s analgesic properties. Suppressing inflammation has positive effects on the blood vessels and protects against cardiovascular disease. It also explains, at least in part, aspirin’s ability to curb cancer. Aspirin disables COX-1 as well. This enzyme revs up the production of thromboxane A2, which promotes the aggregation of platelets in the blood and increases their tendency to form clots. By discouraging platelets from sticking together, aspirin reduces blood clots and thus risk of heart attacks and strokes. However, COX-1 inhibition is also responsible for aspirin’s most serious adverse effect: excessive bleeding. And because COX-1 increases the production of protective mucosal cells in the gastrointestinal tract, blocking it makes the stomach and intestines more vulnerable to irritation, erosion, and bleeding. The recommendations on daily low-dose aspirin for primary prevention (reducing risk in healthy people) have flip-flopped so much it’s hard to keep up. The US Preventive Services Task Force used to recommend preventive low-dose aspirin use for men ages 45-79 and women ages 55-79 without cardiovascular disease if the benefits of reducing heart attacks and strokes outweighed the risk of bleeding. It’s confusing. One day you should be taking aspirin and the next day you shouldn’t. However, not all experts agree with these conservative new recommendations. That’s because protection against heart disease isn’t aspirin’s only benefit. Although its role in reducing colorectal cancer risk is mentioned in the Preventive Services Task Force recommendations, cancer prevention isn’t given enough credence. There is good research supporting aspirin’s ability to protect against several types of cancer. A recent study, spanning 10 years and involving more than 600,000 participants, found that people who took daily aspirin for at least six months (average use was 7.7 years) had dramatic decreases in the rates of digestive system cancers: 47 percent reduction for liver and esophageal cancer, 38 percent for gastric, 34 percent for pancreatic, and 24 percent for colorectal cancer. Regular aspirin use also reduced risk of leukemia and prostate and lung cancer. And a landmark Lancet study determined that participants in earlier aspirin-cardiovascular studies who had taken daily low-dose aspirin for at least five years were 20-30 percent less likely to have died from cancer 20 years later. So, Should You Take Low-Dose Aspirin? Many experts, including an international group of respected scientists, believe the benefits outweigh the potential harms. Their analysis of the pros and cons of prophylactic aspirin use in the general population revealed a favorable benefit–risk profile, with greater benefits noted with longer used. Even among people with diagnosed disease, low-dose aspirin therapy is seriously underutilized. University of Southern California researchers reported that 40 percent of American men and 10 percent of women ages 50 to 79 with high cardiovascular risk are not on aspirin. They concluded, even after taking into account potentially serious adverse effects, that boosting compliance could prevent nearly a million premature deaths and reduce healthcare costs by $692 billion over the next 20 years. Aspirin isn’t for everyone, but a lot more people could be benefitting. I urge you to discuss this with your physician. Small daily doses are protective against heart disease and cancer, our two leading causes of death, and early research suggests it may also help stave off Alzheimer’s. Low-dose aspirin, which costs pennies a day, may be one of the smartest things you can do to protect your health. Discuss daily low-dose aspirin with your physician. Contraindications/cautions include aspirin allergies, high bleeding risk, bleeding GI ulcers, a handful of medications, and asthma. Baby aspirin (81 mg) is an appropriate dose. Always take with food and commit to it for the long term. Ibuprofen reduces aspirin’s efficacy and should be take eight hours before or 30 minutes after aspirin.